Eschew the tourist crowds and head to Manufaktura and History Foto Atelier. Visit Prague Castle and St. Vitus Cathedral for their historical value. There's lots more to do: wander the streets of Old Town Square, look for gifts at Artel, get a taste of the local shopping with DOX Centre for Contemporary Art, and take in the views from Charles Bridge. To see other places to visit, traveler tips, and more tourist information, read Prague trip planner . Vancouver, Canada to Prague is an approximately 15.5-hour flight. You can also do a combination of flight and bus; or do a combination of bus, taxi, and flight. Traveling from Vancouver to Prague, you'll lose 9 hours due to the time zone difference. Traveling from Vancouver in November, expect a bit cooler with lows of 2°C in Prague. Wrap up your sightseeing on the 24th (Sat) to allow time to travel to Vienna. Deepen your sense of the past at sights like Belvedere Palace and Augustinerkirche. 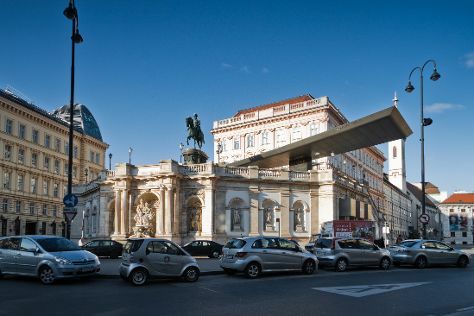 Eschew the tourist crowds and head to Kunsthistorisches Museum Wien and Imperial Palace (Hofburg). There's much more to do: hunt for treasures at Vienna Naschmarkt, look for gifts at Altmann & Kühne, get to know the fascinating history of Schonbrunner Gardens, and admire the landmark architecture of St. Stephen's Cathedral. To find traveler tips, reviews, and tourist information, read Vienna trip planner . You can fly from Prague to Vienna in 3 hours. Other options are to drive; or take a bus. In November in Vienna, expect temperatures between 11°C during the day and 3°C at night. Cap off your sightseeing on the 27th (Tue) early enough to travel back home.